The T400 Quadrimensione Chandelier has been designed by Samuele Mazza & Alessandro La Spada and made in Italy by Italamp manufacturer. 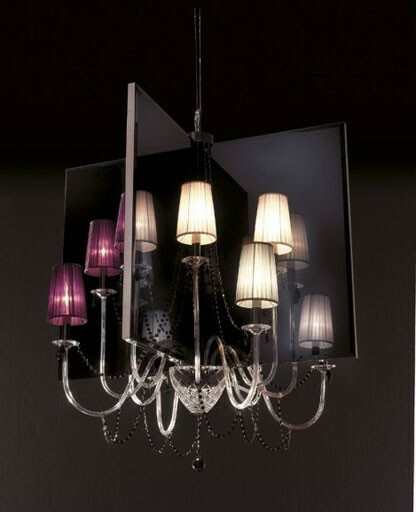 T400 Quadrimensione light is a contemporary lamp made of crystal, metal, mirror, fabric and Swarovski elements. 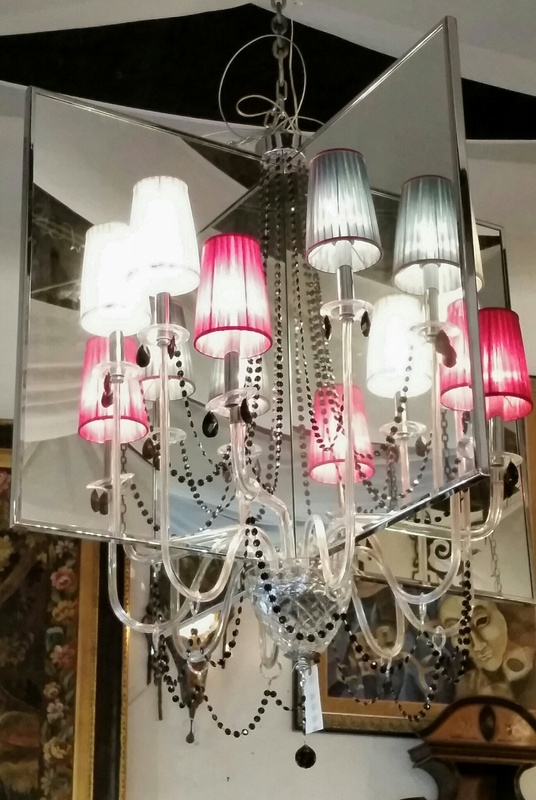 This modern chandelier is a beautiful addition in any kind of room, small or large, home, office or hotel settings. Quadrimensione lamp consists of a metal structure which sustains its crystal and mirror body with rectangular fabric lampshade in black or transparent tones with chrome or iron grey finishes and drops and beads details in Swarovski elements. Quadrimensione lamp is available in two dimensions including 12 lights. The T400 Quadrimensione Chandelier is dimmable and when is turned on the lamp diffuses a parade of light with bright personality. Illumination is provided by E12, 40W Halogen, or 8W Energy Saving, or 4W LED bulb .